St Andrew’s Parish has wanted a community gathering place for over 100 years. 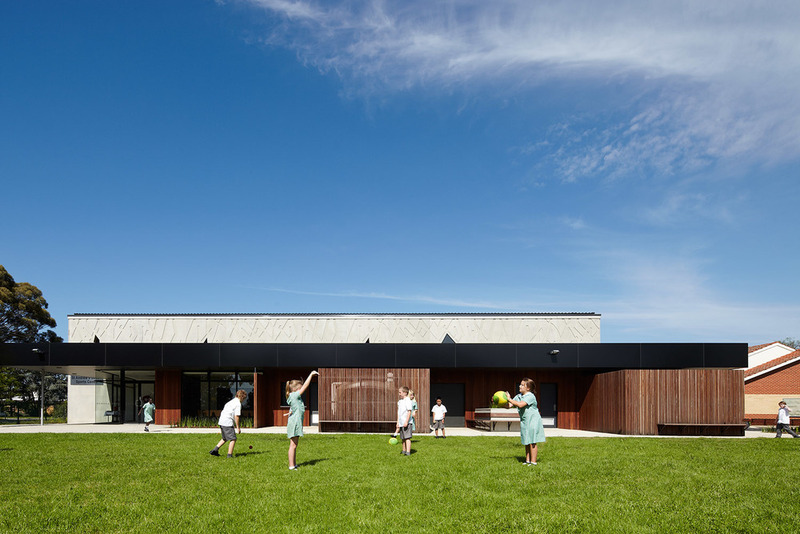 This desire has finally been realised in the primary schools multi-purpose hall (MPH), a facility that functions as a centre for community collaboration while simultaneously making a positive contribution to the streetscape. 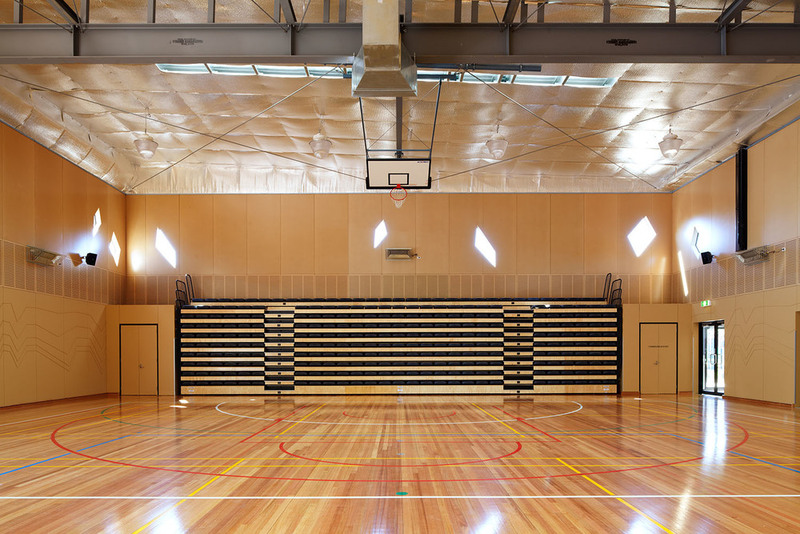 This facility replaces an outdoor basketball court, an existing shelter shed and a stand of gum trees. 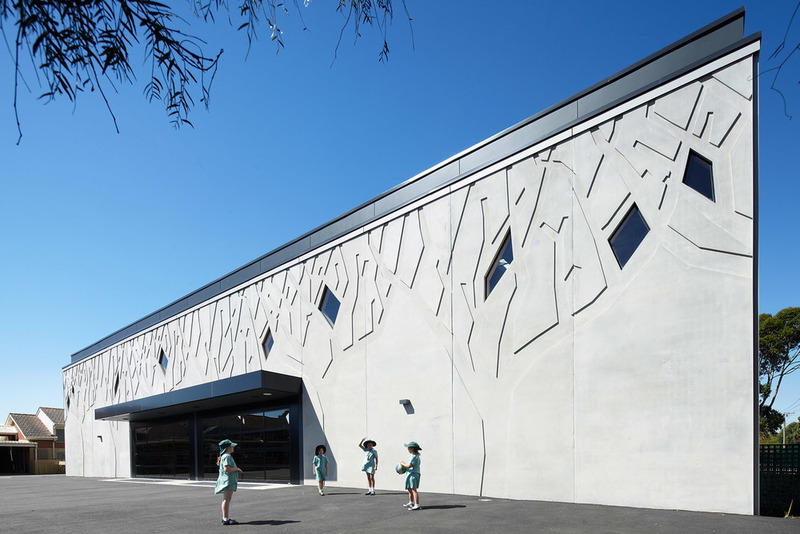 However, the form of the gum trees has been echoed in the embossed motif on the external concrete panel walls. This tree reference is reiterated by internal wall panels, which derive their patterns from the age rings of a tree. 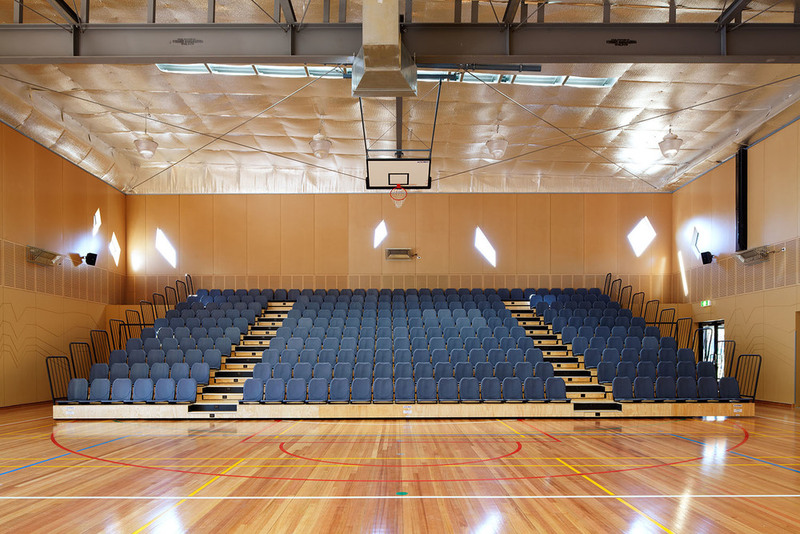 The site affords a strong indoor/outdoor connection via tilt up doors on one side of the hall and amenity and storage facilities on the other.